It's not a certain body type or neglecting certain food groups. As an advocate for the Health at Every Size movement and fighting against fatphobia and eating disorders, I hear a lot of misconceptions from other people about what health is. We live in a society that glorifies losing weight and shames gaining weight, and it's easy for people to become focused to an extreme on health and fitness. Furthermore, dieting is the biggest predictor of an eating disorder, and both weight loss and body size can be affected by genetics, according to the Center of Excellence for Eating Disorders, one of the most prestigious eating disorder centers in the country. The following are truths about health. 1. Health doesn't always equal skinny. For some, losing a bunch of weight and being "skinny" is unhealthy because it took unhealthy behaviors to get there. For some, they don't try to incorporate all nutrients into their diets, but still are able to maintain a low weight. 2. Health isn't even one particular body size or BMI number. BMI isn't a good indicator for health -- it doesn't always accurately portray what a person is eating, how much water he or she is drinking, or account for muscle mass. Health looks differently for different people. Health at Every Size celebrates body diversity, finding enjoyment in moving your body, trusting your body's hunger and satiety signals, and accepting your size. Fatphobia is an issue that leads to unhealthy eating and even eating disorders. 3. Health isn't only eating fruits and vegetables or avoiding entire food groups. It doesn't label food. All foods have a place in a healthy diet; we need all kinds of food and nutrients to live healthily and happily. Labeling foods as "good" or "bad" can translate into us feeling like "good" or "bad" people, and makes us sometimes avoid the foods our bodies want. Food has no moral value. Furthermore, the more you restrict your eating, the more you want (and will likely eat, or even binge on) that food. 4. Health isn't an obsession about what you eat, look like or how much you exercise. Health is about trusting your body's signals, honoring your body's needs, and being able to live with a flexible and carefree nature. Obsessions can be unhealthy and taken too far. The following phrase annoys me too, but it's so true: everything in moderation. 5. Health isn't purely physical -- it's just as much mental. Mental health is so important to a happy and healthy life; mental health matters just as much as physical health. Ways to maintain mental health include seeing a therapist, spending time with other people, and doing things you enjoy and that relax you. 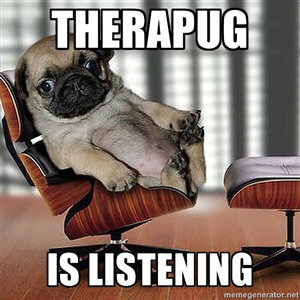 A great resource for finding a therapist is www.therapists.psychologytoday.com. 6. Health cannot be recognized instantly by looking at someone. As stated before, health looks differently for different people and is often dependent to some degree on genetics. We can't tell what a person eats by how much space he or she takes up. This goes for all intersections of identities. 7. Health isn't always about "should" or "shouldn't." Our bodies know what they need and will tell us and adjust to what we feed it. They work to keep us alive. If you want a piece of cake, eat a piece of cake! 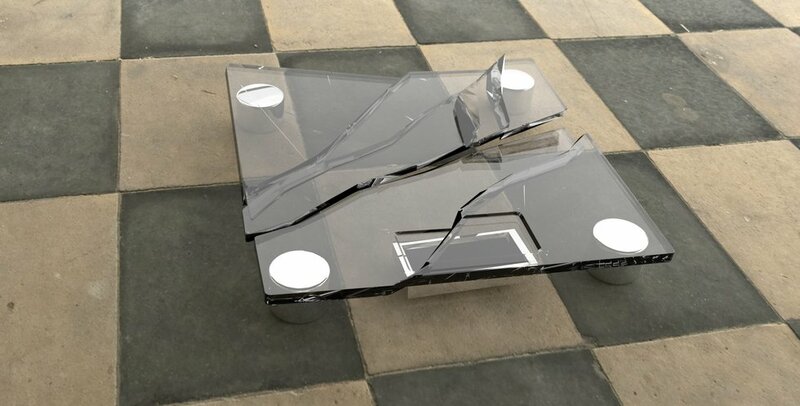 You're not going to gain weight from that, nor is it a bad thing. 8. Health isn't about detoxes. Our body has learned over many years how to survive and take care of itself. It heals and adjusts in amazing ways. 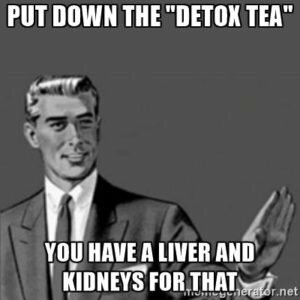 We have livers and kidneys that detox for us; detoxing through other methods isn't healthy and often doesn't work. 9. Health isn't about distrusting your body. I've said it several times, and I'll say it again: trust the hunger and satiety signals your body gives you. Trust the cravings. Your body knows what it wants -- it was created to work that way. When your body distrusts you, or doesn't get food when it needs it, it know's how to survive; for example, it may make you eat, cause you to binge, or keep you awake under survival mechanisms in which your body keeps you awake so you can go "look for" food. 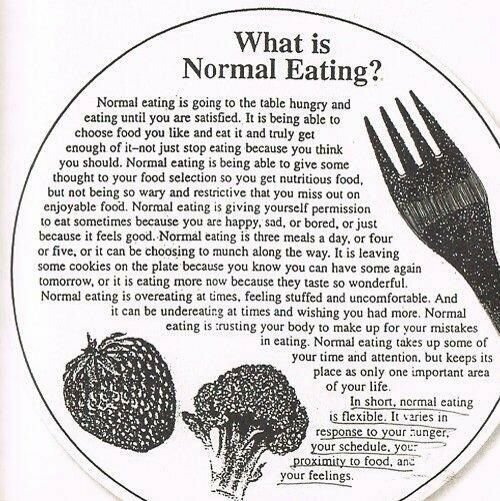 "Normal eating is going to the table hungry and eating until you are satisfied. It is being able to choose food you like and eat it and truly get enough of it — not just stop eating because you think you should. 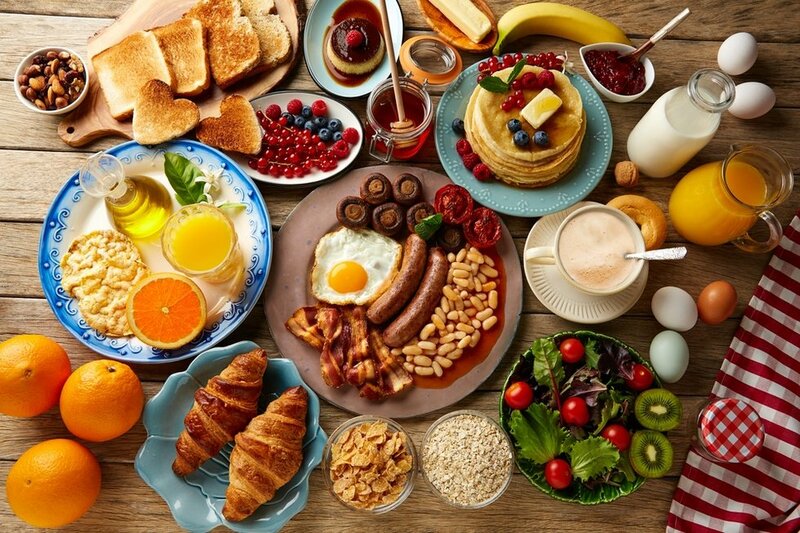 Normal eating is being able to give some thought to your food selection so you get nutritious food, but not being so wary and restrictive that you miss out on enjoyable food. During Embody Carolina trainings, which were created by CEED and mentioned at the top, we talk more about healthy and unhealthy eating, we mention how we don't agree with her use of "mistakes," but that overall, we believe this is a great definition of healthy eating. Screenshot the picture below for your phone's wallpaper, if you'd like! You get the point by now: your body is not the devil, and health is not a one-size-fits-all kind of deal. By embracing and taking care of ourselves, not being the "food police" for ourselves or others, and by listening to our body's signals, we can live a healthy and carefree life that isn't triggering to anyone, including ourselves.